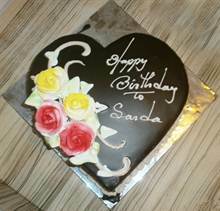 A delicious chocolate cake for your Loved ones. 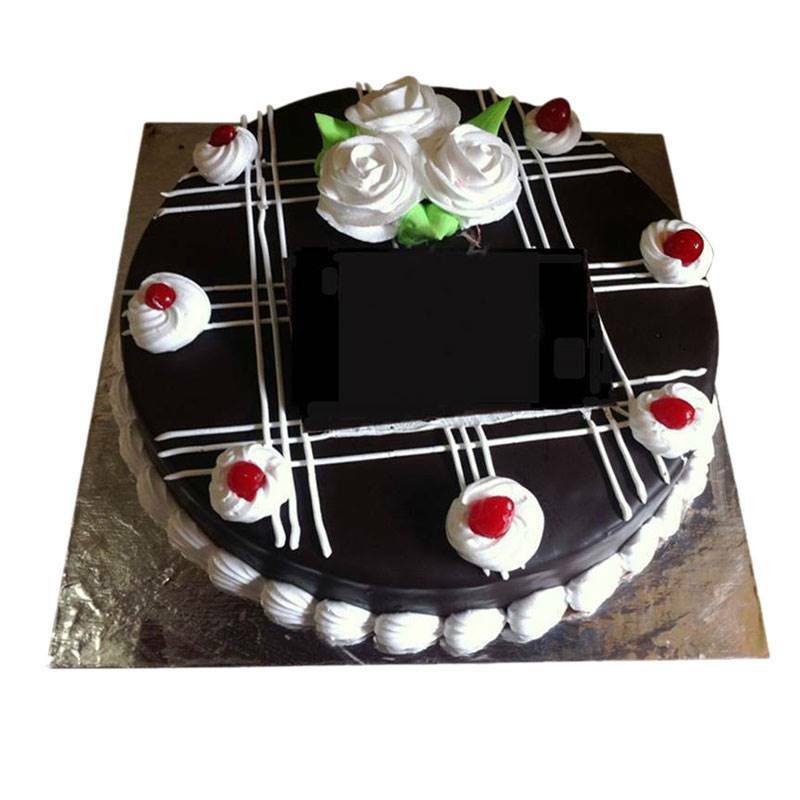 A Round shape chocolate cake for your Loved ones, 2 pounds with any wording on the cake with decoration on any auspicious day to make it special. This delicious chocolate cake packs a mouthful of creamy fudge filling in every bite. Send this freshly baked delicious and lip smacking chocolate cake to your loved ones. The cake is hand delivered to ensure freshness. Note:Design and garnishing may change according to season.